with John Arifin. Trip date : 01-04 October 2012. Borneo is the world’s third largest island with Mount Kinabalu being the tallest mountain towering at 4000m above the sea level in the state of Sabah, Malaysian Borneo. Kinabalu Park has been known as one of the world’s richest centres of biodiversity with over 5000 species of plants – many of which are endemic-nearly 100 species of mammals and over 300 species of birds. The park is situated 80 km from Sabah’s capital of Kota Kinabalu on the west coast of Sabah covering an area of 753 square KM. The elevation of the park ranges from 150m in the lowlands to the summit of Mount Kinabalu at 4095m (13,435 feet). On this special 4D3N nature photography expedition, John Arifin will show you some of the biodiversity of the park by shooting images of endemic plants, montane birds and fascinating pitcher plants found nowhere in the world except in Sabah. The cool mountain climate of 15-24 degree combined with the variety of the subjects to explore, make this 3D2N trip packed with numerous photographic opportunities and learning experience to hone your nature photography skills as you travel through this World Heritage Site. There will some light walking and hiking on the treks while the group search for subjects to photograph. Day 1 – Singapore to Kota Kinabalu, Mount Kinabalu Park. Fly direct from Singapore to Kota Kinabalu in Sabah, Malaysian Borneo in the early evening. Stay one night at Kota Kinabalu. Day 2- Kota Kinabalu to Mount Kinabalu. Leave for Mount Kinabalu in early morning. Along the way we will stop for photo opportunities at the local market and view of Mount Kinabalu. Check into the hotel and we will explore the plants and landscapes in the late afternoon before dinner. Photography briefing and discussion will follow after dinner. Early morning bird photography and landscape photography potentially sun rise if weather permit. 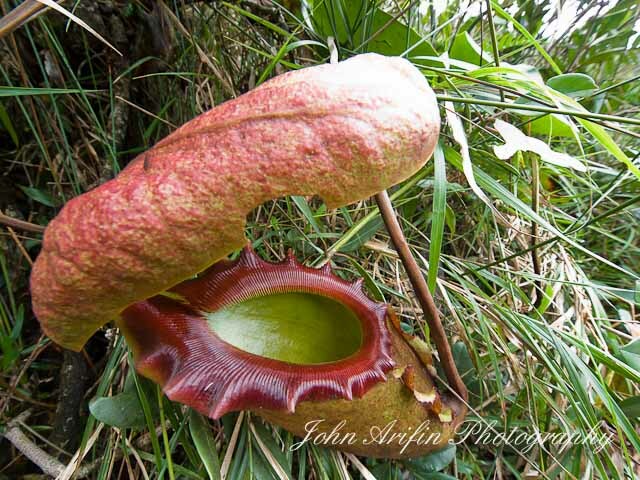 We will explore the Mesilau area in the late morning for the fascinating and endemic pitcher plants found nowhere else in the world. Borneo is also renowned for its orchids where we will have the opportunity to see them in the wild. Photography briefing and discussion will follow after dinner. Early morning photography till 10 am where we will have breakfast and check out from the hotel for those who are flying back to Singapore. Optional : Borneo Bird Festival Oct. 5-7, 2012 at Mount Kinabalu, Sabah. For those who wish to extend the trip at Kinabalu Park, there is the Borneo Bird Festival which will be held from 5-7 October. For details, please contact me. – 2 nights standard room at Cottage Hotel or equivalent (twin sharing basis). – Optional : Borneo Bird Festival Oct. 5 – 7 2012 at Mount Kinabalu, Sabah. The next festival will be in June 2013 in Sepilok. Check it out. Thanks.